A newborn or juvenile cat is known as a kitten. Alike most juvenile pets, kittens need constant attention and familiarity with the outside world. Most kittens are prone to loneliness and many ailments related to isolation. After being born, kittens are totally dependent on the mother cat for survival. After two weeks of birth, kittens start exploring the outside world and starting eating after three to four weeks. The time between 2-8 weeks is considered the best time for introducing kittens to socialization skills. Domestic kittens are highly social animals and usually enjoy human companionship. 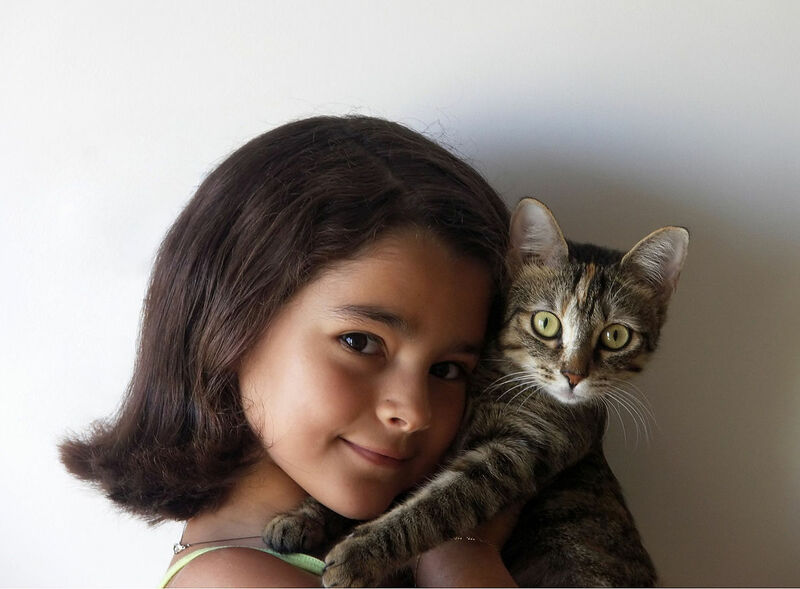 Why kittens should be socialized? Socialization teaches a kitten how to be a cat. It also helps them to ascertain who their enemies are. The most trainers focus on three T’s of socialization for cats. These are; Touching, Talking, and Timing. Touching is the most essential part of any grooming or nurturing process. Mothers tend to care their newborn with their touch to provide the warmth and protection. Touching a kitten helps them realize that they shouldn’t fear humans. It offers them a chance to get close to their pet owners. Touching kittens help them remember your scent which helps to them to associate the memories spent with you and bring closeness. Petting is one of the first sensations newborns feel when they come in contact with mother cats. Petting gives them a wonderful safe experience. Comforting touch helps to reduce blood pressure, and improve heart rate and brainwave. While handling the kitten, be sure to touch its ears, tail, paws, and mouth so the experience is comforting and pleasing. Keep it as a routine. 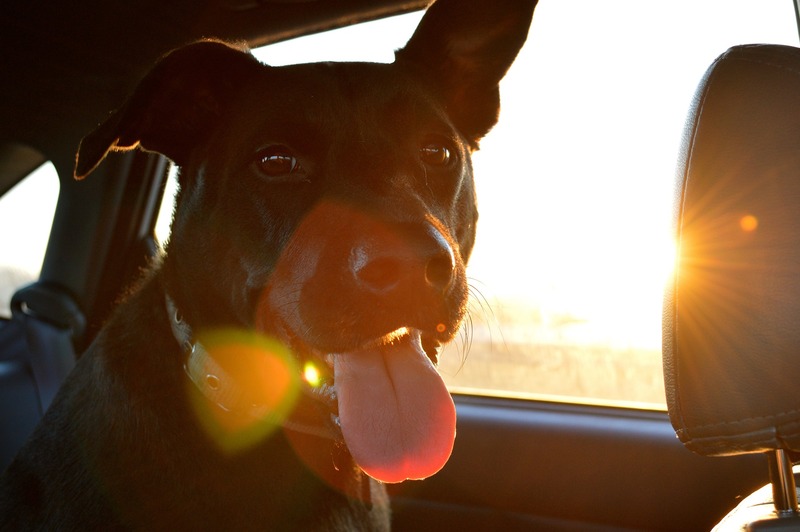 Pets can very well interpret most basic words and gestures. Talking to the kitten teaches them to listen and pay attention to your voice. It brings familiarity between you and your pet. The often you speak to your cat, the better they will understand and react to you. This enhances and improves your relationship. Timing is the third most important chapter on kitten grooming. Training them during the 2 weeks to 8 weeks of their life helps them grasp the skills better. Kittens won't know what's right and what's wrong unless you tell them at the right time. Catching them during the act or mischief can help them disciplined. Timing also helps to offer rewards to kittens to follow the routine and become more dedicated. Learn more about pet training and grooming. Dental problem in pets, both cats and dogs, is quite common than you think. By the age of 3, 70% of cats and 80% of dogs have some form of gum disease. The dental problem isn’t only persistent in senior pets. Here are some of the common risks from dental problem. Bacteria under the gum can travel to different internal organs. Broken teeth is a major concern among pets. Chewing on hard surfaces or materials can render their teeth weak. A broken tooth can expose the nerve of the tooth which can be a painful experience for your pet. Periodontal is a dental disease common in pets. The disease starts when bacteria in the mouth combine with food particles to form plaque on the teeth. Within days, minerals in the saliva bond with the plaque to form tartar (a hard substance). When tartar and plaque begin to start their way under the gum line, they produce toxins which lead to bone and tissue damage. Periodontal disease includes conditions such as Gingivitis, the inflammation of the gums, and Periodontitis, loss of bone and soft tissue in the mouth. Both these diseases can be very painful and may affect the overall health of your pet. You can check at home if your pet has any dental issue. Try this at home with your pet. Do you see any redness or swelling of the gums? Do you see any brown plaque or tartar? Does its breath smell bad sometimes or foul consistently? Redness, swelling and bad breath are all signs of periodontal disease due to bacterial infection. During a veterinary dental cleaning, unless unable due to a medical issue, veterinarians will put your pet under general anesthesia to protect both your pet and the veterinarian. 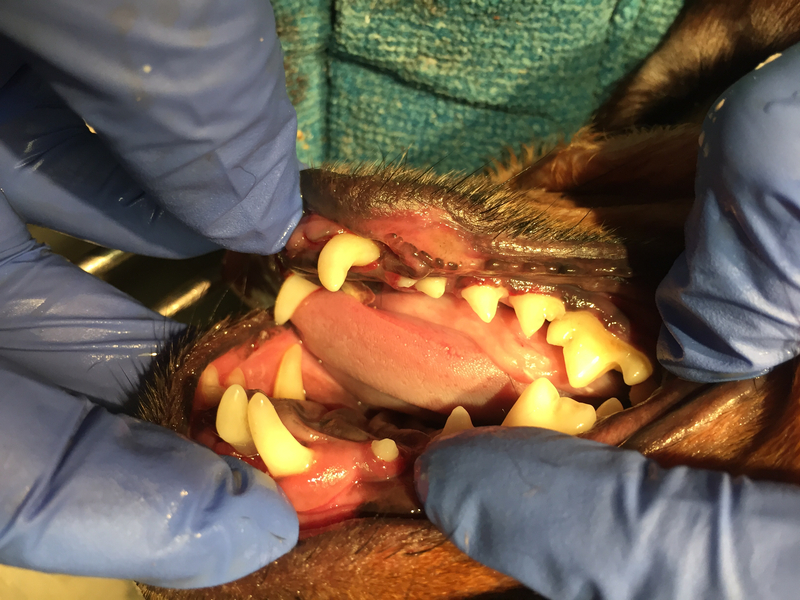 The veterinarian will use dental tools to remove the plaque and tartar from the teeth. Then, the veterinarian will use a special polishing paste which smoothen any scratches in the enamel of the teeth. A fluoride treatment or barrier sealant will then be put on the teeth to help strengthen and desensitize the teeth, while also preventing more plaque from developing. Brush their teeth. You should brush your dog’s teeth at least 3x a week and to brush your cat’s teeth at least 2x a week. The Halloween is near. And, so are the spooky pumpkin head figures, candles, eerie costumes and accidents. Pets are prone to get into accidents during Halloween. As a pet owner, ensuring a safer environment for your pets during all the hullabaloo can be difficult. However, to ensure the safety of their life, you must consider few facts in check. 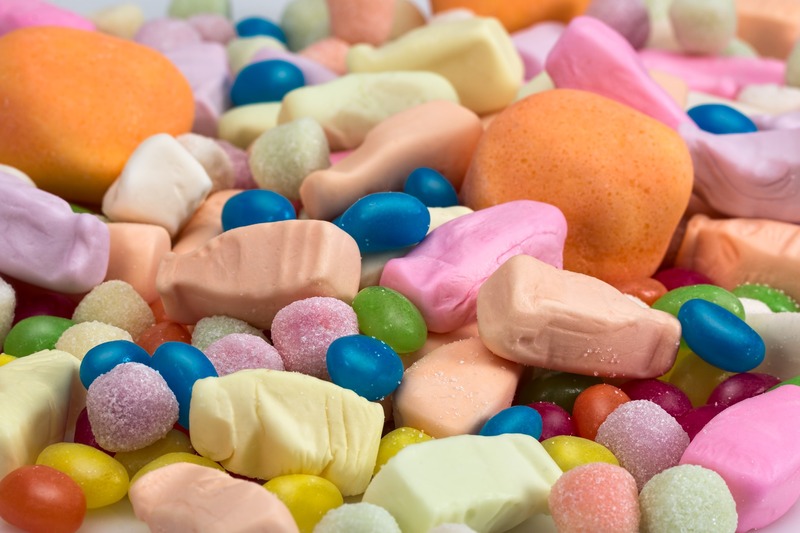 Be aware not to feed your pets the Halloween candies, especially if it contains chocolate or sugar (Xylitol, a common sugar substitute found in sugar-free candies and gum). Pets are prone to several ailments if fed chocolates. If your pet is inside the house, do keep trick or treat candies away from their reach. The Halloween goodies, such as candles, and Jack-o-lanterns look exciting enough for your pets to mess with. The hot candle wax and fire can do severe damage. The damage can range from slight burn to major burns which may require extensive medical attention. Be careful not to allow your pet to stay around lit candles and Jack-o-lanterns, or keep them away from it. Harmful pranks are common during Halloween. Most pets who are left unattended tend to get involved in the pranks or are the outright victims most of the time. Vicious pranksters have been known to tease, injure, steal, and even kill pets on Halloween night. Specific pets, black cats, are more prone to suffer from pranks and accidents during Halloween. Keep glow sticks or jewelry which glows away from your pets. Although the liquid filled inside these products isn't likely toxic, it may taste bad and leave your pet salivate excessively or act strangely. 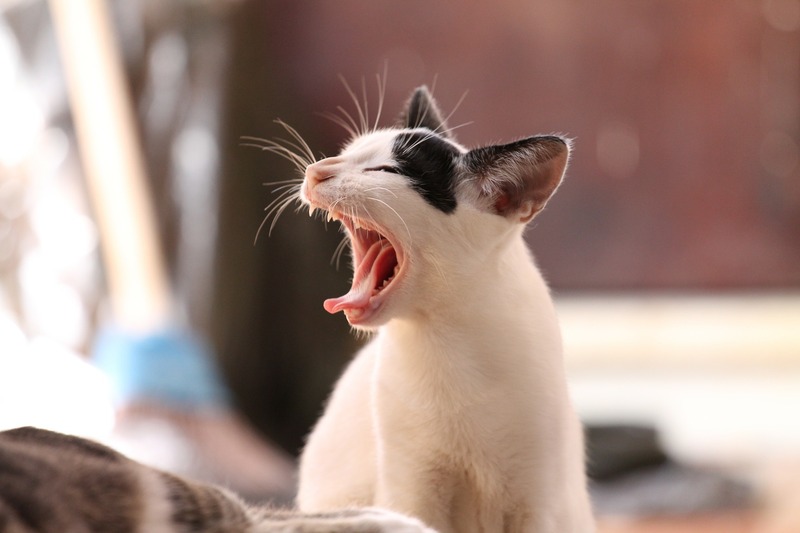 If your pet has a tendency to bite, it’s better to put them on lease or inside the house for preventing them from biting the strangers. It’s better to keep them inside or in another room during trick-or-treating hours or provide them a safe hiding place. Indoors is certainly better than outdoors on Halloween, but your door will be constantly be used. 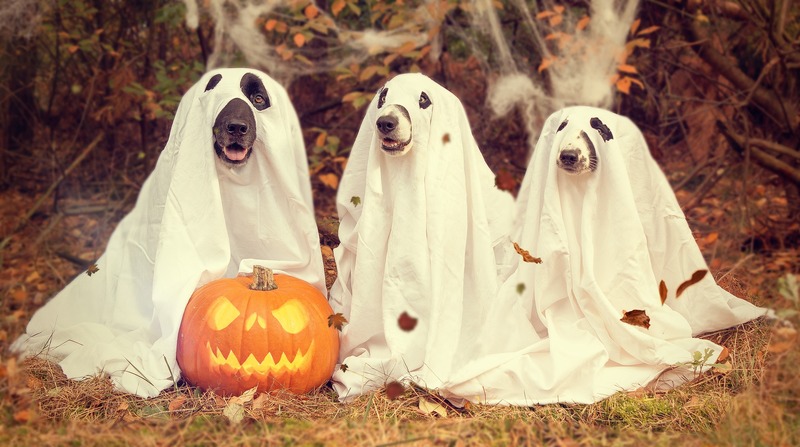 Seeing eerily costumed strangers can scare your pets which can lead to escape attempts or unexpected aggression. Putting them in a safer environment will reduce stress and prevent them from darting outside into the night. National Cat Day was created in 2005 by Colleen Paige, a Pet and Family Lifestyle Expert, in effort to raise awareness for the cats that are mistreated, left in the street, abandoned or shelter home. The occasion encourages pet owners to not take their esteemed pets for granted and shower them with much affection and love to sustain their life. It is celebrated on October 29 every year. The National Cat Day was first celebrated in 2005 "to help galvanize the public to recognize the number of cats that need to be rescued each year and also to encourage cat lovers to celebrate the cat(s) in their life for the unconditional love and companionship they bestow upon us." How to best treat your cat? Cats have a tendency to stray outside the house often. This may lead to many problems for your cat. The best thing to do is to keep your cat safe by keeping them indoors. If you decide to take them outside, you can walk them on a harness or leash. Use a cat carrier when transporting your cat outside the house. While inside the house, Make certain that all windows are securely screened. Care to keep the washer and dryer closed, and check inside before each use to avoid any accident. Keeping an eye on your pet all the time is difficult. Being an agile animal, they can slip out of home anytime. By adding a breakaway collar and visible ID that includes your name, address, and telephone number can help located your cat in case of emergency. Your cat is more likely to get home safely if they have a collar and ID. Also, be a good citizen by complying with any local cat licensing laws. A cat can face several health and medical issues which left untreated can cause severe problem in the future. You must care to take your cat for regular check-up at the Veterinarian’s office. Do provide necessary vaccinations, flu-shots etc. Most of the times, the illness in pets are left untreated due to lack of information. Regular visit to the Vet can help address these issues. Spaying and neutering your cat will keep them healthier and help decrease the number of cats euthanized every year because of cat overpopulation. If you can't afford the operation, look into low-cost options. A healthy diet is important for cat’s overall health. Unlike humans, cats do not find nourishment from vegetarian diet. It’s important that you offer enough protein and mineral rich food to your cat. Fish, low-cat meat can be good for cat’s daily diet. Never feed your pet from your own plate! Cats are naturally clean, and most will instinctively use a litter box; you just have to show yours where it is. Don't place your cat in the box and make little scratching motions with their front paws. This will probably upset your cat and may make their leery of the box. Scoop the box at least once daily and periodically wash it with dish liquid and hot water. Because cats also value privacy, place the litter box in a convenient but quiet spot. We can help you get things off to a good start. Like all other pets, cats require often grooming to stay clean and healthy. All cats, whether long- or short-haired, should be brushed regularly to keep their coats and skin healthy, prevent matting, and reduce shedding and hairballs. Grooming also includes clipping nails and paws, brushing, trimming hair, cleaning organs etc. This also helps to prevent any diseases or problems arising from matted hair or follicles. How does Hydrotherapy works on Pets? Hydrotherapy, also known as hydropathy, is the water therapy implemented to relive any joint pain, injury or for the treatment. A part of alternative medicine, it has multiple uses and benefits. It originally began as a treatment for humans in ancient times, and later expanded to include animals too. The first instance of the therapy saw benefits among racehorses as well as racing Greyhounds. How does it works on Dogs? Hydrotherapy was recognized as a therapeutic option the pets, both dogs and cats, to improve their medical conditions and to aid their emotional states. The therapy extensively uses the properties of water — buoyancy, viscosity, resistance, and hydrostatic pressure — to improve your pets joint movement. Water produces buoyancy when submerged, hence it easily supports the weight of the body by reducing gravity. It also helps to reduce stress on the joints and creates a safer environment for the quick recovery. It also helps for quick recovery after the surgery. 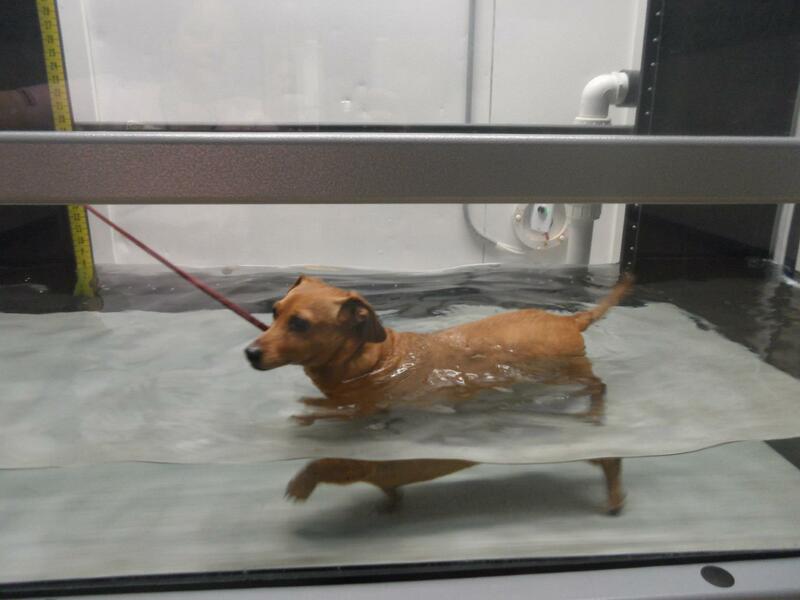 The hydrotherapy gets your dog exercise its muscle and bones in a safer environment which can be a relaxing experience. Hydrotherapy helps in relieving pain and for strengthen or re-training muscles. The dog is effectively weightless when swimming which helps to minimize pain and enforce strengthening of muscles or bones. It encourages a full range of joint motion, thus improving muscle tone without imposing unnecessary stress on damaged tissues. It also helps your dog lose unnecessary body weight by encouraging regular exercise. It helps dogs to recover from the injury or surgery. 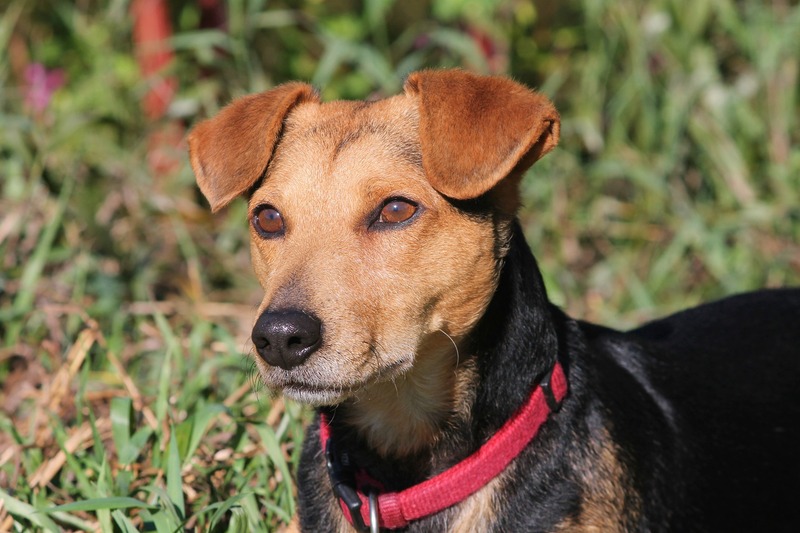 It can be beneficial for dogs who suffer from arthritis due to old age. The water buoyancy helps to reduce joint swelling, stress on muscles and bones etc. The older dogs tend to experience sadness and fear, especially when their ailing health cause pain. The support of water and relief from pain promotes a sense of safety and well-being in them. Learn more about pet therapy services to prevent major injury or illness.